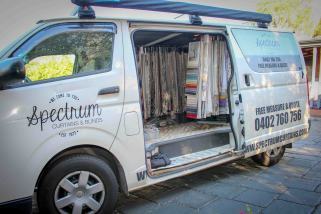 Established in 1973, Spectrum Curtains and Blinds is a family owned and run business. 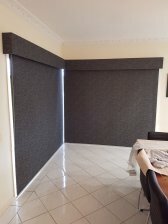 We offer you comprehensive advice and workmanship when it comes to custom made curtains and blinds. We pride ourselves on our knowledge, quality and honesty. We look forward to meeting you soon. The best part of my job is coming out to you to help you with your decorating needs. I oversee the job from start to finish, and most of all, get to see the smiles on your faces. Sophie is a qualified Interior Decorator with over 10 years’ experience and Jackie has a passion for all things interior. Sophie and Jackie very hands on, they can come to you for a no obligation, free measure and quote, sharing with you their wide range of knowledge of window furnishings. Spectrum’s attention to detail is shown through Sophie and Jackie overseeing all aspects of our services, including the production and installation of every product. 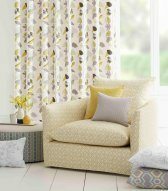 Not only do they provide you with excellent knowledge of all types curtains and blinds, they also have a wide range of advice for your interior decorating needs. 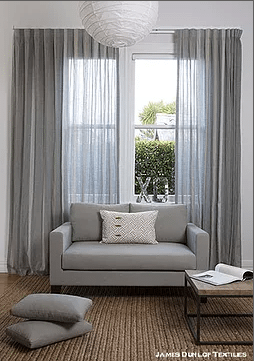 Curtains or Drapes are a beautiful way to dress your window. 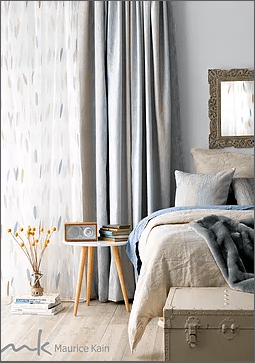 Whether you like a more traditional style of Pinch pleats, or a more modern style of Eyelets or S-Fold headings, curtains can be made out of sheer fabrics, or more solid fabrics paired with a blockout lining. 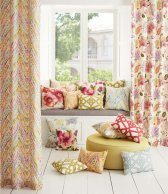 We have fantastic sewers that we work with to create tiebacks, or an assortment of scatter cushions, which are a great way to co-ordinate with your window furnishings. 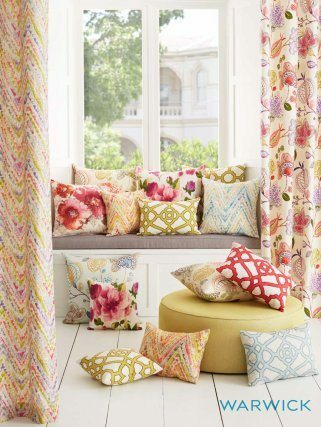 We can also custom make bay window seat cushion covers. 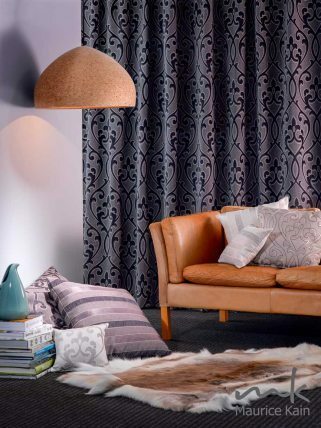 Soft Romans are designed using a huge range of curtain materials, paired with a blockout lining to create a great option for your window, helping to insulate, and to protect the life of your fabric. Hard Romans are designed using blind fabrics, using options from blockout fabrics to translucent fabrics. They feature wide panels that glide easily into place with use of a flick stick. They are an ideal choice for sliding doors, opening away from door opening, and for wide windows, as the panels can stack off the window to maximise views. Traditional Swags and Tails are a great way to dress a window and are made with a huge range of materials to coordinate with your window furnishing treatment. 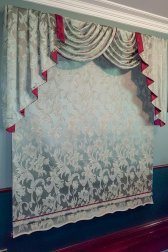 We can make a variety of styles which typically include; pinch pleated, pencil pleated, and soft swag valances. 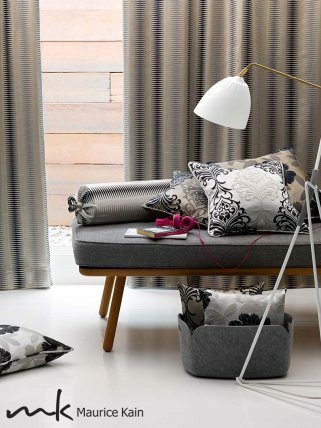 Decorative Tracks and Rods are a great way to dress up your lined curtains or lighter sheer curtains. We have a great range of corded decorative tracks that suit pinch and pencil pleated type curtains, and decorative rods to suit eyelet curtains. 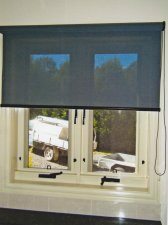 There are a wide range of fabrics and colours to choose from, including screen fabrics, light filtering fabrics and blockout fabrics, with the option to use dual blinds at windows to create privacy both day and night. 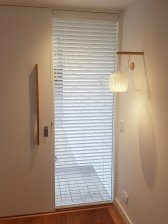 Venetian blinds can be a very versatile window treatment. Great for windows by front doors and for bathrooms that have clear glass windows. 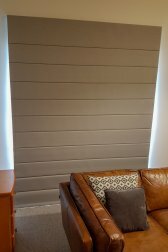 Venetians blinds can be made as Aluminium and Timber style venetians in a variety colours and slat widths. 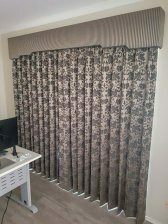 We can add that decorative finish to curtains and blinds with custom made Padded Pelmets, with a range of styles, shapes and designs. Pelmet depths and designs can be customised to suit your specific needs. 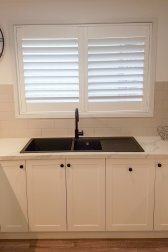 Plantation Shutters are a modern sleek design for window treatments. They are custom made to suit your windows, with a range of colours and slat widths to suit your design requirements.